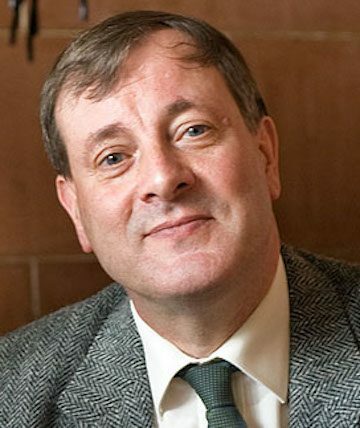 Alister McGrath, one of the world’s leading theologians, is the Andreas Idreos Professor of Science and Religion at Oxford University. He is also Director of the Ian Ramsey Centre for Science and Religion at Oxford, a Fellow of Harris Manchester College, Oxford, and a senior member of the Oxford University Faculty of Theology and Religion. McGrath also holds the Gresham Professorship of Divinity in the City of London, established in 1597, for the period 2015-18. He has three earned doctorates from Oxford University: a DPhil in molecular biophysics for his research on biological membranes; a DD from the Faculty of Theology for his work in historical and systematic theology; and a DLitt from the Division of Humanities for his research in the history of ideas, especially relating to science and religion. He is also a Fellow of the Royal Society for the Encouragement of Arts, Manufactures & Commerce (FRSA). McGrath has authored several books including, Christianity’s Dangerous Idea: The Protestant Revolution – A History from the Sixteenth Century to the Twenty-First (2008); The Dawkins Delusion? : Atheist Fundamentalism and the Denial of the Divine (2010); Surprised by Meaning: Science, Faith, and How We Make Sense of Things (2011); Mere Apologetics: How to Help Seekers and Skeptics Find Faith (2012); C.S. Lewis – A Life: Eccentric Genius, Reluctant Prophet ( 2016); and Enriching Our Vision of Reality: Theology and the Natural Sciences in Dialogue (2017). He also has authored several internationally-acclaimed and popular Christian theology textbooks in use today, including, Christian Theology: An Introduction; Historical Theology: An Introduction to the History of Christian Thought; and Theology: The Basics. McGrath’s research interests include the notions of rationality and explanation in science and religion; the role of the natural sciences in sustaining the ideology of the “New Atheism”, especially in the writings of Richard Dawkins; the concept of natural theology; the notion of a scientifically-engaged theology; and the role of theory in both science and Christian theology. He supervises doctoral research at Oxford, and welcomes inquiries about possible research projects.